It is essential for a client to hydrate after a massage, and should always be recommended. Every time I've gotten a spa treatment, I have always been handed a glass of water. 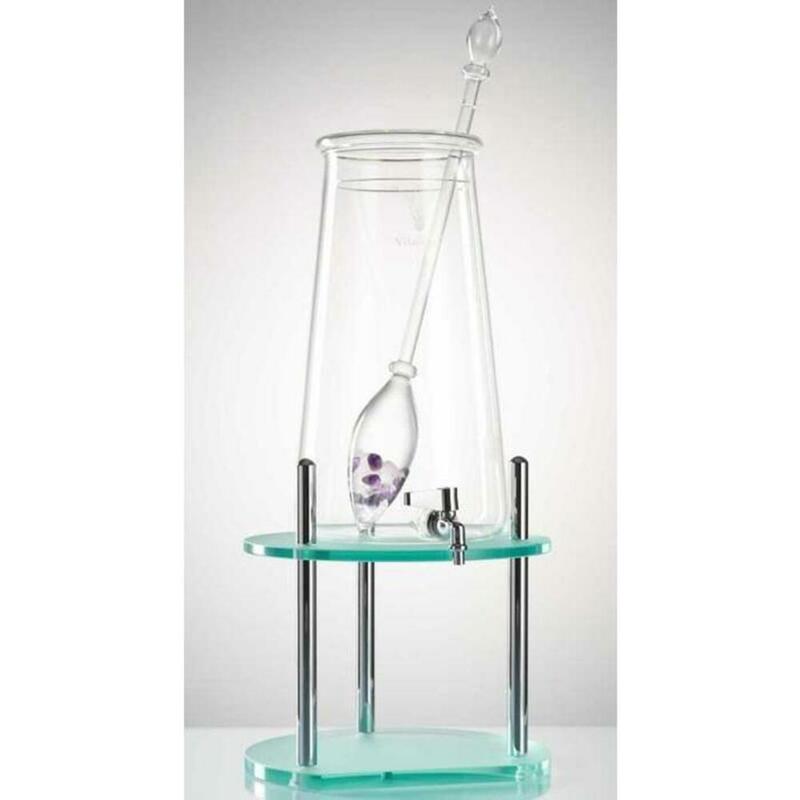 This attractive 3 Gallon Square Glass Infusion Jar is perfect for relaxation rooms! Ideal for tea bags, limes, lemons, cucumbers, oranges, etc. to infuse into cold water. the ordinary into the extraordinary!" Get one of our VitaJuwel decanters in addition to your original VitaJuwel vial for the full gem water experience right from the start! 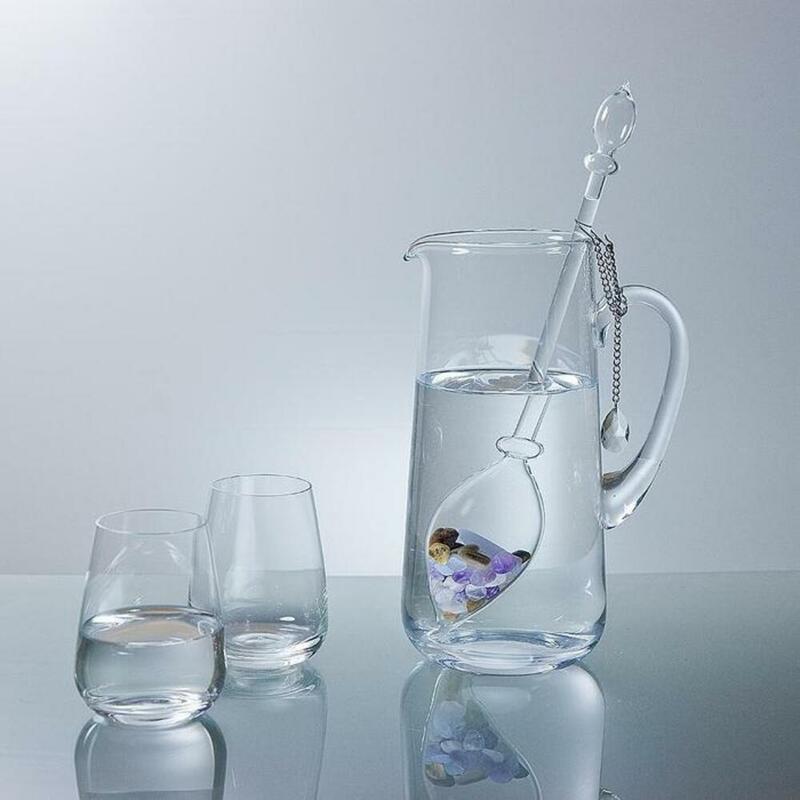 Our elegant decanters are specially designed to hold a generous 50 oz. and complement our vials in form and size. 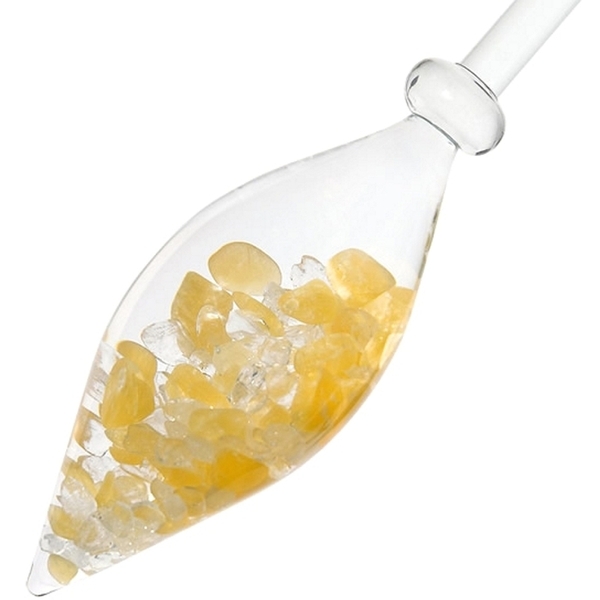 The base of the decanter is rounded on its inside and, thus, helps prevent your vial from touching the sides of the decanter. VitaJuwel is the most hygienic and efficient method to prepare gem water. And it's easy! 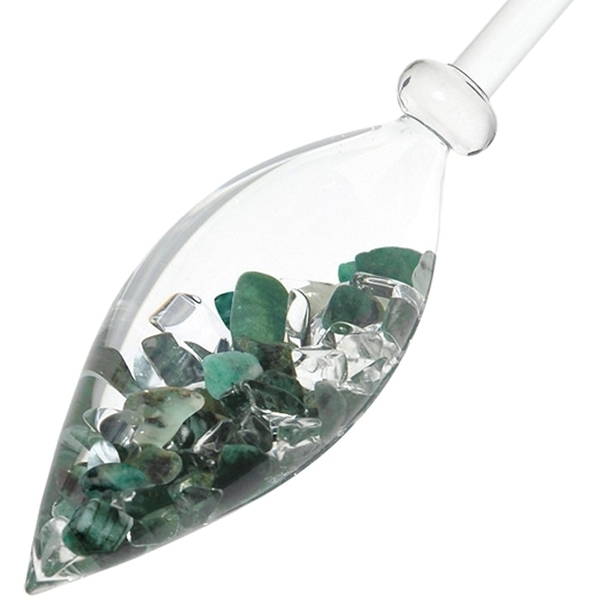 Just place a VitaJuwel gem vial in drinking water for 7-10 minutes and enjoy gemwater, the true elixir of life! 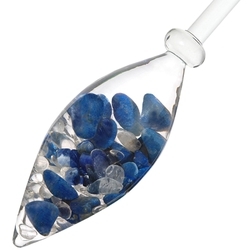 Using gems to vitalize water is an age-old tradition, dating back to ancient Greece and medieval times. Gems have the ability to store an energy that inspirits the surrounding drinking water, making it more lively and enjoyable. This can even be tasted by sensual water lovers! The gems don't have to physically contact the water. 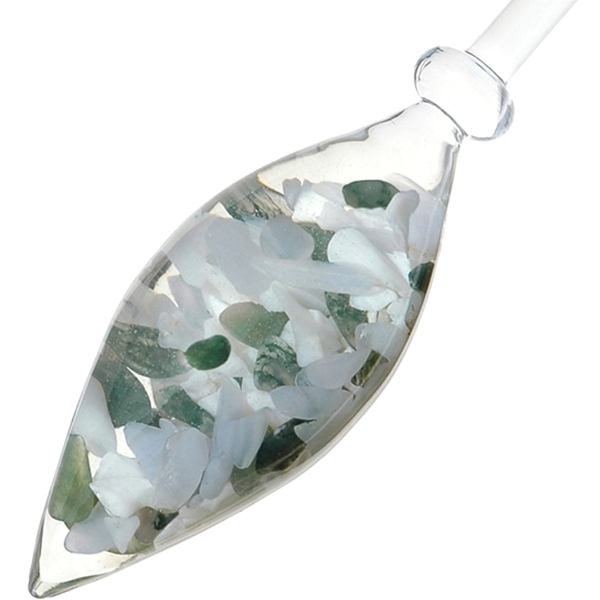 The glass vial acts like a natural prism for the crystal's radiant energy. Like in the natural cycle of water, with VitaJuwel the natural element stone regenerates the natural element water. 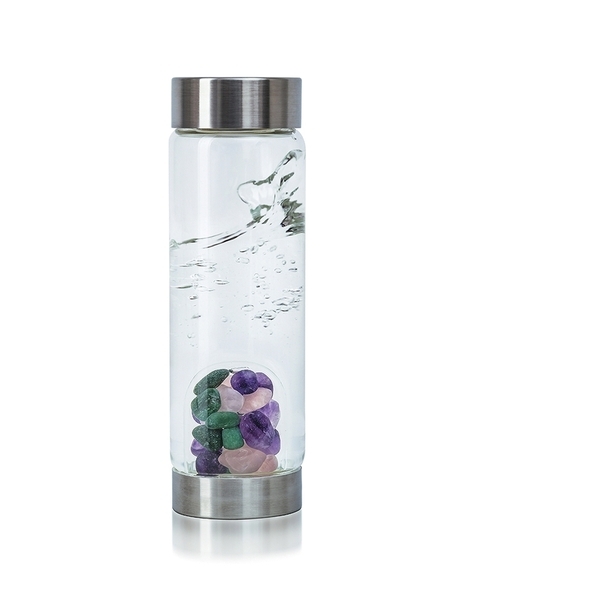 VitaJuwel ViA Gem Water Bottles are becoming increasingly trendy in the wellness world. If your clients are wild about them don't forget - they are the perfect retail item! Beautifully packaged gem water on the go! Serve Gem Water in Your Spa / Salon! VitaJuwel is the most hygienic and efficient method to prepare gem water. And it's easy! 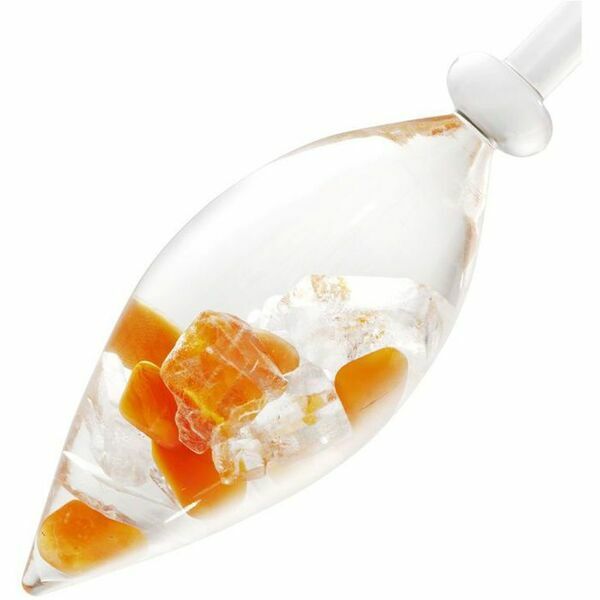 Just place a VitaJuwel gem vial in drinking water for 7-10 minutes and enjoy gem water, the true elixir of life! Using gems to vitalize water is an age-old tradition, dating back to ancient Greece and medieval times. Gems have the ability to store an energy that inspirits the surrounding drinking water, making it more lively and enjoyable. This can even be tasted by sensual water lovers! The gems don't have to physically contact the water. 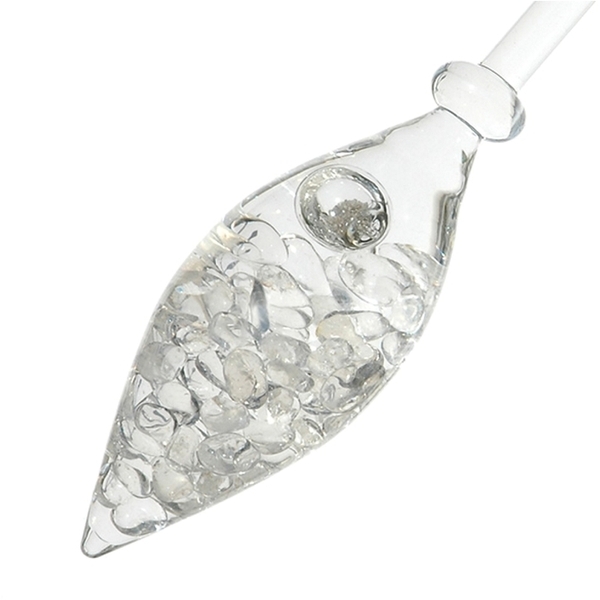 The glass vial acts like a natural prism for the crystal's radiant energy. Like in the natural cycle of water, with VitaJuwel the natural element stone regenerates the natural element water. Approximately 13.5" Long - may vary as they are hand made! This basic, well-balanced composition is used to vitalize water for hundreds of years. 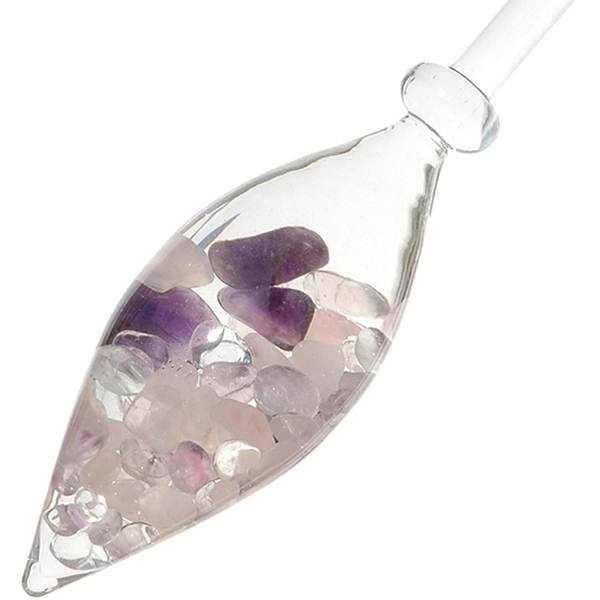 Crystal experts claim that amethyst strengthens awareness and rose quartz fosters tranquility. Either way, having this original vial and a decanter by VitaJuwel on your dining table or office desk will remind you to drink more water. 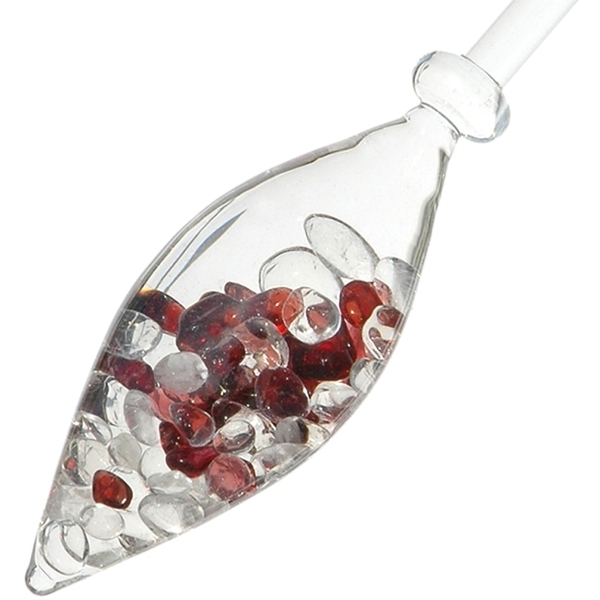 Most customers find gemwater made with this blend to taste smooth and mild. If you're unsure, with which blend to start your VitaJuwel collection with, choose this one! The unique, lead-free premium glass vials made by master craftsmen following century-old Bohemian traditions. 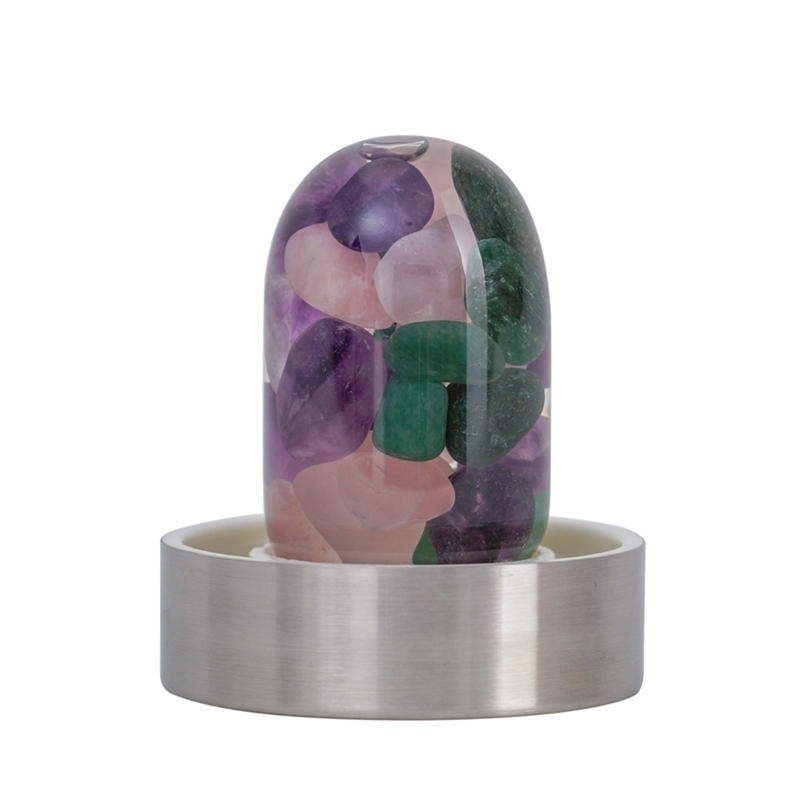 Key component of those vials are precious, hand-selected and fairly-traded gems from the most exotic places on earth. The use of gems to vitalize water is a traditional art which was already known to the ancient Greek and wise men and women during medieval times. Recently, this old tradition has been rediscovered. 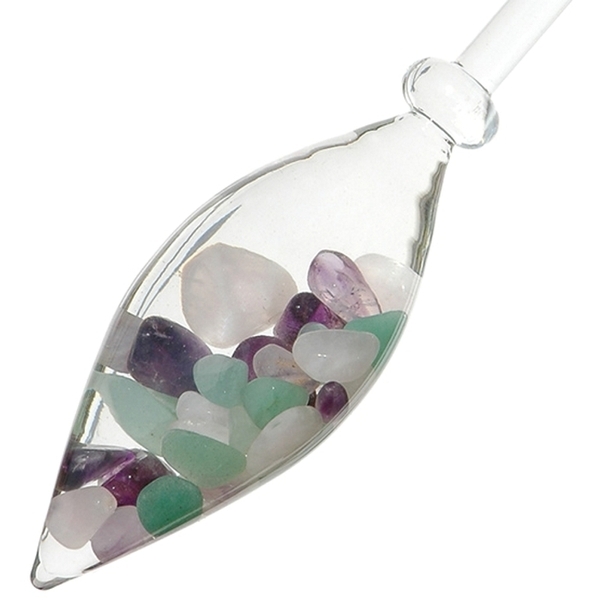 Gemstones have the ability to store energy. That effect makes quartz watches work, for example. 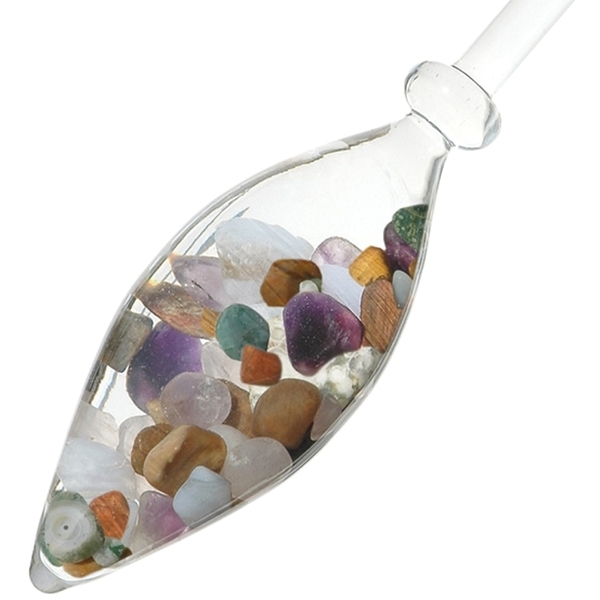 Each type of gem, by nature, has its unique kind of energetic information. 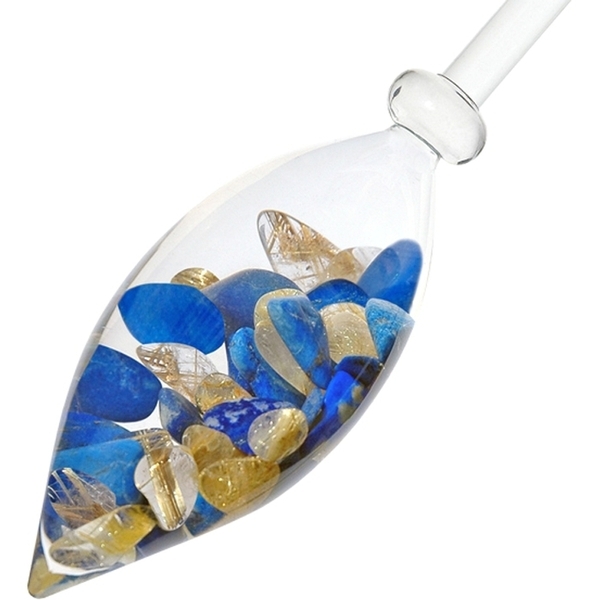 The gems inside the VitaJuwel vials transfer their information to the water that surrounds the vial and, thus, improve the waters' vitalization level. An effect which regular water drinkers might even be able to taste! Get one of our VitaJuwel decanters in addition to your original VitaJuwel vial for the full gem water experience right from the start! 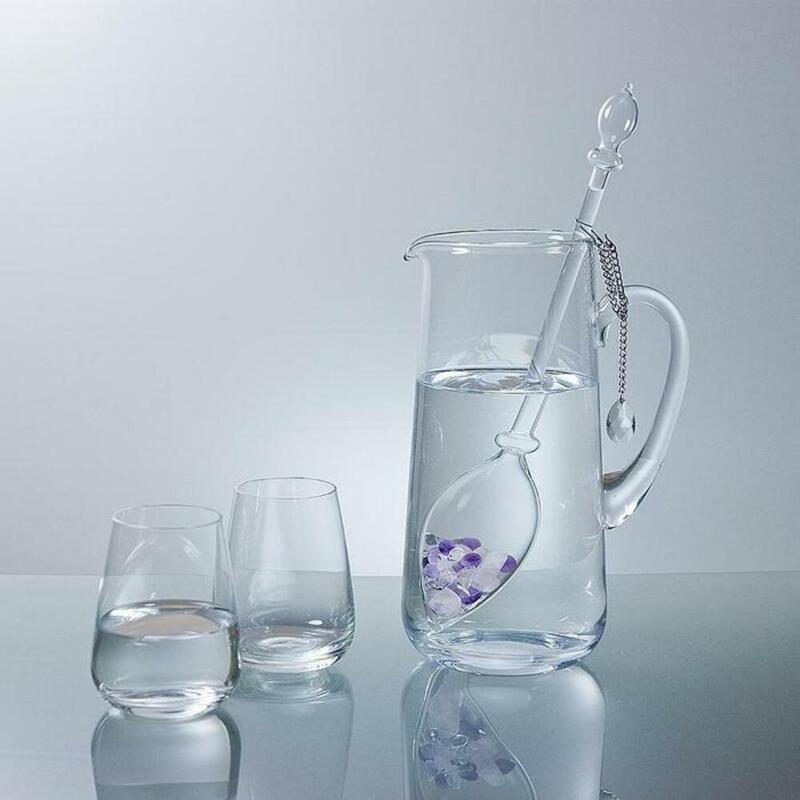 Our elegant decanters are specially designed to hold a generous 50 oz. 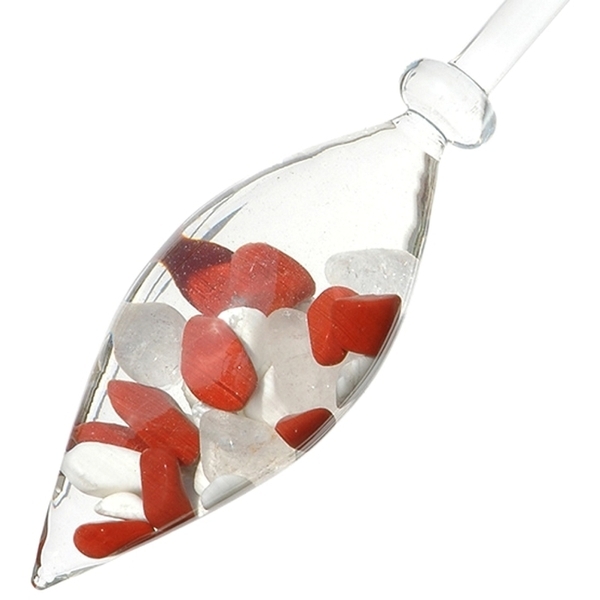 and complement our vials in form and size. The base of the decanter is rounded on its inside and, thus, helps prevent your vial from touching against the sides of the decanter. Carnelian: Courage, willingness to help, removing inhibitions. Improves blood quality; stimulates the small intestine and metabolism. Halite: Protection, purification, inner balance. Dissolves patterns of unconscious thinking and behaviour; helps with subtle energetic influences. 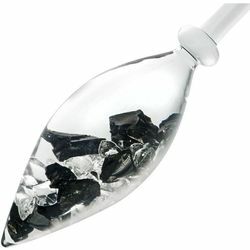 Shungite: Contain fullerenes, which is an anti-oxidant. Used for protection and bringing the chakras back into balance. Relieves bloating, reduces swelling and lowers blood pressure. 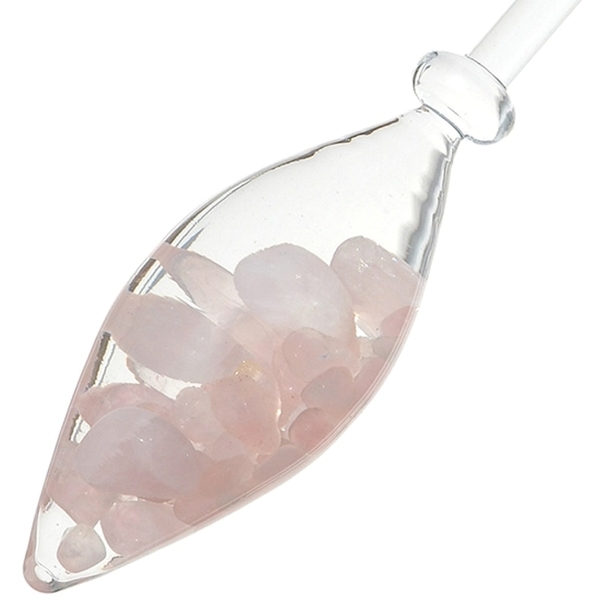 Rose Quartz: Warmth, love, empathy, sensitivity, sensuality. Strengthens the heart, improves circulation. Encourages fertility in women. Sodalite: Awareness, striving for truth, idealism, being true to one's self. Good for the larynx, vocal chords, kidneys and bladder. Has a cooling, fever-abating effect; it supports the absorption of fluids, and quenches thirst. Milky Opal: Openness, flexibility, activity. Encourages communication. Strengthens the kidneys, bladder & lymphatic system, regulating the body's water balance. Red Jasper: Brings energy, helps to put ideas into action. Regulates temperature, circulation and supply with blood. Magnesite: Self acceptance, relaxation, patience, compliance. Helps with pain, tensions, colic, cramp, migraines, headaches and sore muscles. Aventurine: Relaxation, regeneration and healthy sleep. Assists with nervousness, stress and pain. Emerald: Direction, growth, finding a purpose in things. Harmony & unity with partners. Strengthens the immune system, helps with infections and inflammations. Orange Calcite: Stability, self-confidence and health Regulates the metabolism, digestion and elimination. Good for the bones, teeth and connective tissues. Diamonds: Virtue, insight, honesty, strength of character, self-determination, spiritual freedom. Helps with anxiety and depression. Encourages purification and control over one's life; supports the sensory organs, hormone glands, blood vessels, nerves and brain. Lapis Lazuli: Truth, honesty, dignity, friendship. Ideal to treat issues pertaining to the throat, thyroid, larynx, vocal chords, nerves and the brain. Rutilated Quartz (Love Arrows): Independence, freedom, space, honesty, spiritual greatness. Loosens phlegm with coughs; helps with allergies, bronchitis, asthma, difficulties with breathing, the intestines and the heart. Chalcedony: Virtue, insight, honesty, strength of character, self-determination, spiritual freedom. Helps with anxiety and depression. Petrified Wood: Grounding, stability and the ability to change. Effective for calming the nerves, for the digestion, metabolism and elimination. Ocean Chalcedony: Virtue, insight, honesty, strength of character, self-determination, spiritual freedom. Helps with anxiety and depression.